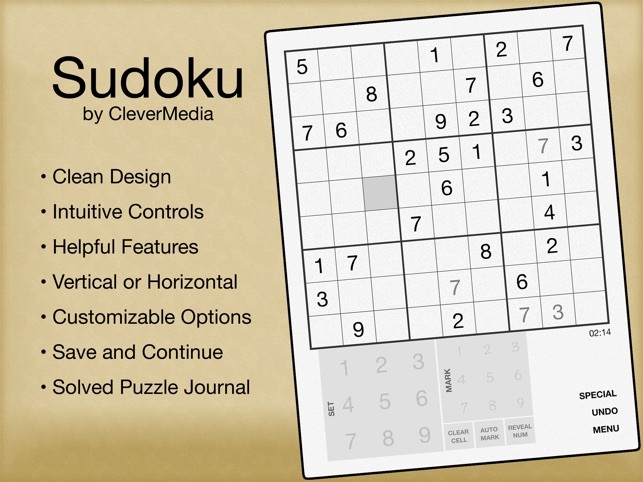 "If you enjoy sudoku on paper, you'll love this app." "Simple, clean... just the way you want it if it were on paper." "...the controls for marking estimates are the best I have seen yet." 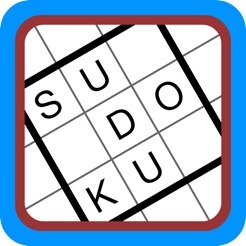 Possibly the cleanest, simplest, most easy-to-use design for a Sudoku iPad app. 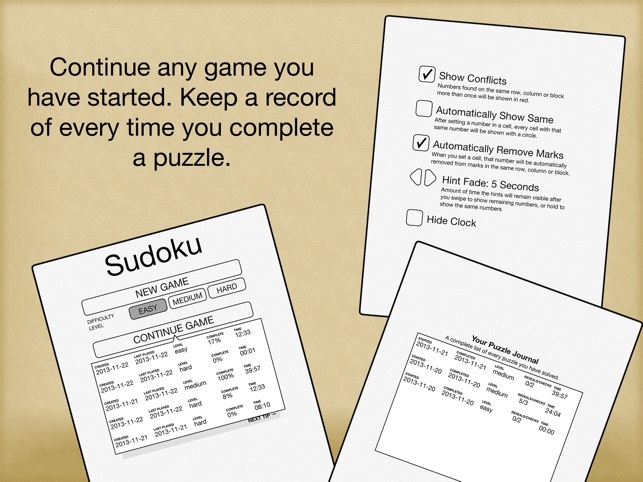 Instead of distracting backgrounds and bells and whistles, we’ve tried to re-create the pencil-and-paper feel of doing Sudoku puzzles. 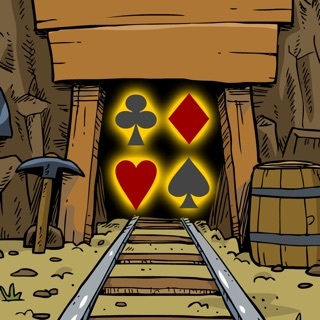 But we’ve also included tons of advanced features to make gameplay easier. • Mark cells with notes. • Automatically remove marks as you set other cells. 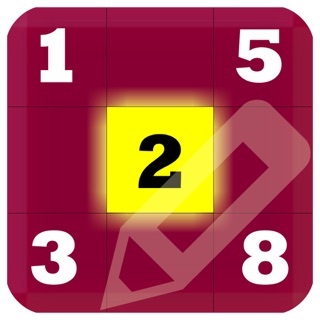 • Automatically set marks in cells, to save time. 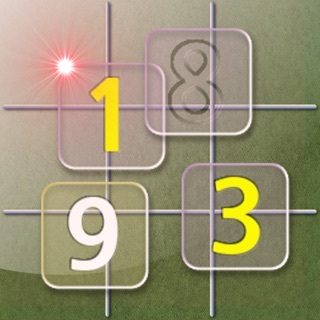 • Swipe to see missing numbers in rows, columns and blocks. • See number conflicts in rows, columns and blocks. • Undo each action, all the way back to the start if you want. 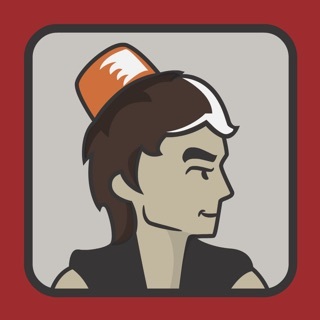 • Set bookmarks so you can quickly undo all the way back to a specific point in the game. • Check your work at any time to see if you have made any mistakes. • Reveal the correct number in a cell if you are stuck. • Each game you start can be continued later. You can have multiple games going that you can return to at any time. 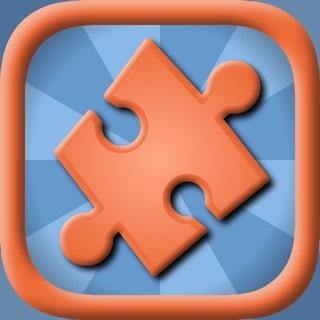 • See a journal of every puzzle you have completed with the date and other information. WAS my fave! Ads are now disruptive! 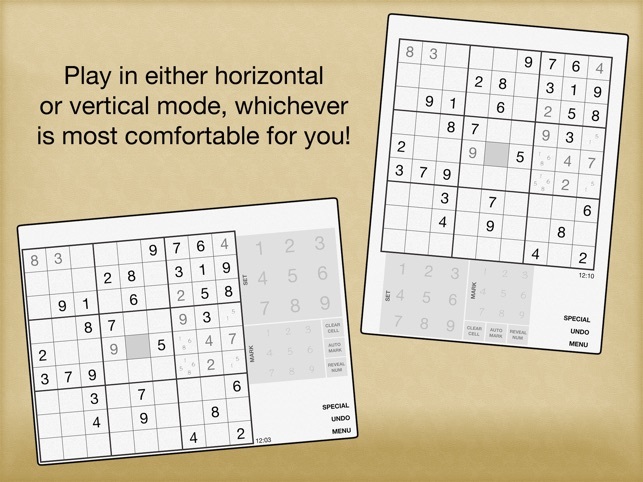 I tried several sudoku apps, but I kept coming back to this one. 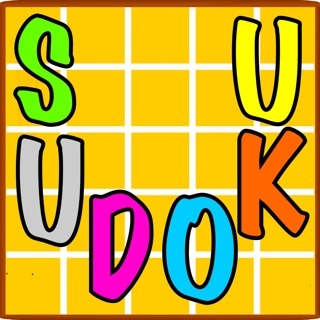 If you enjoy sudoku on paper, you'll love this app. However, as of a recent update, a full screen ad with sound will randomly appear and you can't close it for 5 seconds. So you have to remember to mute your volume before playing this in a quiet place. I would have give this 5 stars, but those new loud ads are awful! 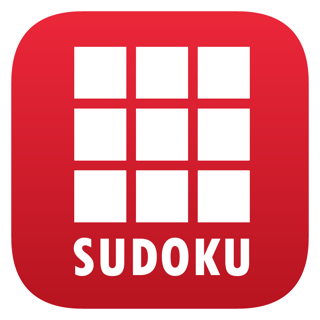 I like this version of Sudoku better than other apps I've tried because it permits you to put in possible options for the blanks. Not too easy but not too difficult to solve.